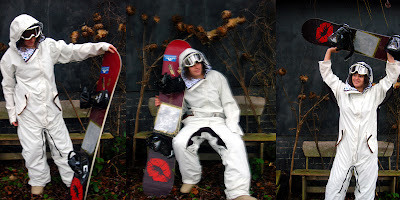 Onepiece Snowsuit :Designed and Built by Eve Mackinnon and Tom Beanland. Digital textiles print produced from riders own data. Spiral Snow Designs are In the business of selling Bespoke sustainable outerwear made from post consumer reclycled Plastic. A relativerly new and ecologically sound Comapany. 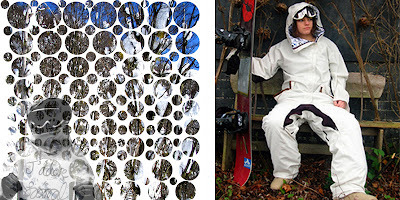 Spiral Snow Suits are made from recycled polyester.They aim to help us all reduce our environmental impact while we can keep doing what we love doing. Mail your image as JPG/Tiff/BMP format and our CAD designers will put your personalised image inside your suit as a repeated lining graphic.